Bank safely and securely anywhere, any time with Cellphone Banking. Access your money by banking in the palm of your hands using your cellphone. Even without your bank card, you can now do your banking via Cellphone Banking. Using Cellphone Banking, you pay no data fees. Dial *130*321# to register and start banking on your phone today! For assistance, call 087 575 9405 . As a Gold customer, you can get up to 100% off your monthly fee for ConeXis X1. Monthly discount fees are structured differently for Gold, Premier, Private Clients and Private Wealth accounts. Customers will be billed R119. Thereafter, the discount corresponding to the level they are on will be deposited into their bank account. Rebates will be paid within 48 hours. How does Bank Your Change® work? Simply transfer funds to your transactional account via Cellphone Banking, Online Banking, The FNB Banking App or in-branch. Step 1: Select option 5 (Save and Invest). Step 3: Savings Account already exists. OR Select the option of the Savings Account to maintain. Step 5: Select Bank Your Change top-up amount (R0, R2, R5, R10, R20 or R50). Select relevant option. Click ''Finish'' on success screen. You can top-up your Bank Your Change® by choosing a top-up amount of R2, R5, R10, R20 or R50. Each swipe adds that amount from your transactional account to the cents you've saved on your purchases, into your Savings Account. To add a top-up amount follow the same process used to activate Bank Your Change® and select the option Change top up amount and follow the screen prompts. The total value of your card purchases and Cash@Till® withdrawals is more than all your cash withdrawals at ATMs and branches during the month*. Spend at least R2 500 on your credit card each month. Make at least two financial transactions on the app. Have used your overdraft to the amount of at least R1 000 each month. Have a Wesbank or a FNB Vehicle Finance account with your car on nav>>Car. Setup a debit order from your FNB Gold Cheque Account. Have a Linked Savings Pocket or Savings Account with a balance that grows by at least R250 each month. Have an FNB Life Policy with min cover of R400 000. Pay the premiums for your policy from your Gold Cheque account each month. Have at least three debit orders off your cheque account. *ALL card purchases and cash withdrawals (Cash@Till® and ATM/FNB branch withdrawals) made using your FNB Gold Credit Card and FNB Gold Cheque Card will be considered for this requirement. Spend at least R750 online using your credit card each month. Have Connect spend of R200 each month. Have a personal loan with original loan amount R10 000 where the debit order is set up from your FNB Gold Cheque Account. Have a Home loan or a Smart bond that has a flexi facility with an outstanding balance of R75 000, where the debit order is set up from your FNB Gold Cheque Account, or there is a salary stop order set up. Maintain a minimum monthly balance in your FNB Linked Savings Pocket or Savings Account, FNB Gold Cheque Account or FNB Fixed Deposit Account. If you have an FNB Linked Savings Pocket, Savings Account or FNB Gold Cheque Account, you'll need to maintain a monthly balance of at least R5 000. If you have an FNB Fixed Deposit Account, you'll need to maintain a monthly balance of at least R10 000. FNB Funeral Cover product of min R50 000. Have min two lives assured. Pay the premiums for your policy from your Gold Cheque account each month. *Transacting on the FNB Banking App includes payments, transfers and purchases but excludes debit orders, deposits and viewing of accounts. Qualifying spend excludes any device premiums linked to your contract(s). Gold Cheque Account | Earn from R84 000 to R299 999 per annum. better, knowing what you pay for every month and saving towards your dream. Get FREE digital banking, inContact, card swipes, electronic transactions and prepaid airtime purchases - safely and conveniently. FREE Cash@Till® withdrawals and FREE FNB ATM withdrawals of up to R5000 pm and cash deposits of up to R5000 pm at FNB ATM with deposits. Save money easily with a Savings Account and boost your savings with regular payments and Bank Your Change®. Apply for credit and get immediate access for when you need it the most. Enjoy FREE membership to eBucks Rewards and earn eBucks that never expire which you can use towards fuel, shopping and travel. You may qualify for an Overdraft up to an amount of R150 000 to make those payments when you may not have enough cash available in your account. What's more, you can apply from the comfort of your home through any of our digital channels , meaning you always have enough cash for those unforeseen expenses. The best part is that you pay no fees for your overdraft if you don't use it. Your Gold account comes with a Savings Account that makes saving easy. Get a Savings Account and keep your transactions separate from your Gold Cheque Account. The Savings Account gives you immediate access to your money, helps you track your saving, makes it possible for you to schedule tranfers and allows you to Bank Your Change® every time you swipe your card. The best part? It gives you a competitive interest rate. 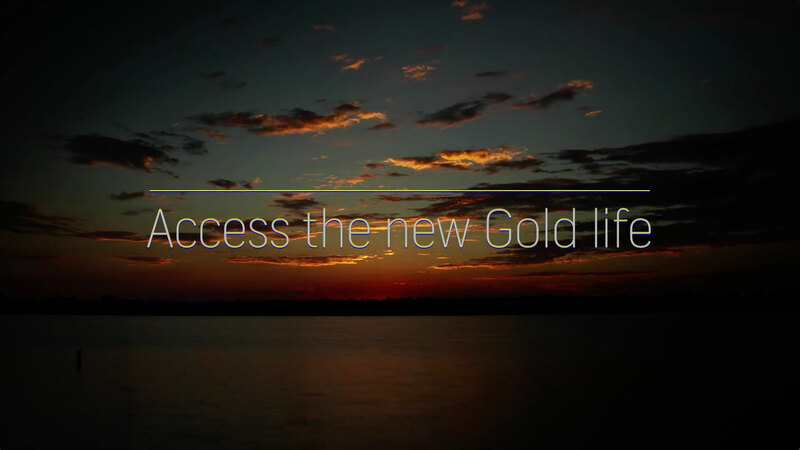 Gold gives you access to fast banking via secure digital banking channels. There's more with Gold - you can apply for short and long-term credit. Short term options include the Temporary Loan. A Personal Loan, Home Loan, Car Finance are some of the options you can apply for under long-term credit. In addition, your Gold Cheque Account allows you to take out insurance. This includes Funeral Insurance, Life Cover, as well as car and household insurance. Ready to get your hands on Gold?